It has been an incredible last couple of months in the ever-turbulent life of Wayne Rooney. He returns back to where it all started with his beloved Everton. He scores on his league debut. He then gets arrested and charged with drink-driving and ordered to do community service. His marriage is on the rocks as a result. Everton embark on a horror run of form but get a much-needed win at the weekend against Bournemouth. Again though, it’s Rooney who is the centre of attention getting involved in a nasty aerial clash with the Cherries Simon Francis which leaves him with a black eye and blood pouring from the wound. Rooney was convinced it was an elbow but no action was taken by referee, Martin Atkinson. Rooney is enraged but perhaps part of this is due to his and the team’s poor performance at that point where they were trailing Bournemouth by a single goal. After twice getting treatment, Rooney has to leave the game and in an ironic twist of fate, it’s his replacement, striker OumarNiasse, who turns the game on its head with two goals in the last 15 minutes to give the Toffees a huge three points. 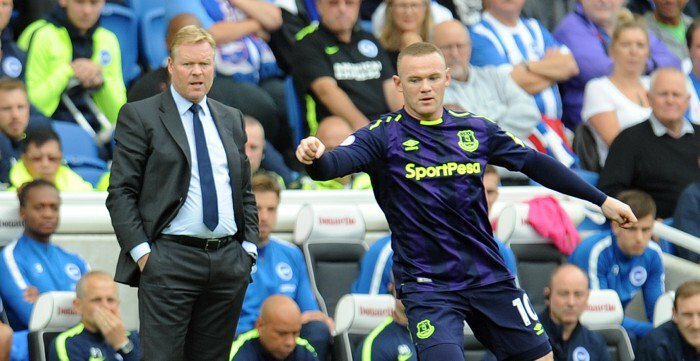 The popular opinion after the game was that Rooney was taken off as a result of the injury but Everton manager, Ronald Koeman was adamant the change was for tactical reasons. He also cleared Francis of any blame for the injury to Rooney.